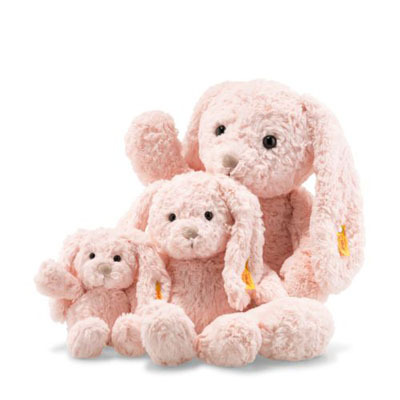 Soft Cuddly Friends Tilda rabbit is made of pink cuddly soft plush! 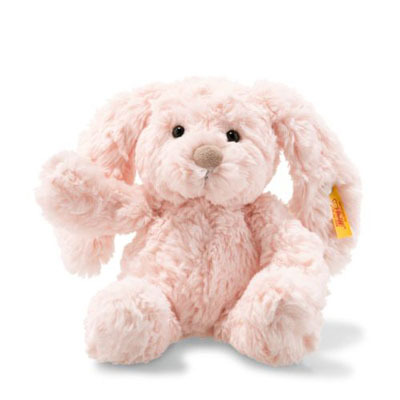 She has a specially soft nose and funny long floppy ears. Bean bags are worked into her tail and hind legs so that Tilda rabbit can sit properly and makes it easy for baby to grasp and play with. A great gift idea for a new born child, baptism or a birthday.